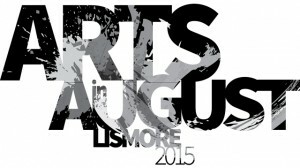 The Northern Rivers Creative Pop Up is moving into Lismore for Arts in August! Northern Rivers Creative is an online portfolio site for local creative practitioners that enhances the exposure of their work and connects them to opportunities and collaborations. The Pop Up will be selling the wares of creatives from all corners of the Lismore region. With all dollars going straight into the artist’s pocket, this is a great opportunity to support local creatives and fill that empty space on your wall. Under the same roof there will be an awesome program of workshops run by the creatives; from badge making to grant writing to soft sculpture inventions to how to package your brand – like a mixed bag of lollies there will be something for everyone. Arts Northern Rivers has partnered with Creative Lismore for this stop on the Northern Rivers Creative Roadshow. Jeremy Austin | Visual Artist / Graphic Artist | I think drawing is my favourite medium but when I draw I think about it becoming a painting whether it’s on a wall or a canvas. And I try and paint with the same energy but obviously I can’t paint all the time so I carry my notebook. I have a massive stack of them, pretty much one to the month. I grew up in an art store in Lismore and have been surrounded by art materials my entire life. When I was young I was busy soaking up the art of comic books, graphical science fiction books and Letraset lettering catalogues. Naturally, I became a very keen mark maker and computer graphics enthusiast. Never straying far from the tactile world I graduated with a Bachelor of Visual Arts with a focus on light projection sculpture and animation. I am also a self-taught screen-printer and print my own artworks onto T-shirts under the label Tanglehead out of my Lismore studio. Tom Avery aka Blakboi | Musician | I am an Indigenous singer/songwriter and multi-instrumentalist: loops decks, drums, keys, guitars, voice and dij. Visual artist and activist, surfer and poet. I am from the Gumilaroi peoples of central NSW now living on the Bundjalung Nation around the Byron Bay / Lismore area. My father (Tom Avery) is a renowned Indigenous artist and surfer. My mother (Jennifer Avery) is a talented singer/guitarist and full blood Maori from the Taranaki Province of New Zealand. My music crosses the boundaries of folk, rock, reggae, disco, dance, trance, pop and soul. Hip hop, rap, accapella to attack your senses, colours and shapes created for all tastes. Jennifer Collins | Visual / Installation Artist | At the age of ten discovering I could draw pictures that looked like the original, I embarked upon a lifetime of pursuits in the arts. Dabbling in fashion, costume, craft and now contemporary print practice, I am comfortable creating across many mediums and disciplines. I recently completed a Bachelor of Visual Arts at Southern Cross University and am excited at the thought of what opportunities and challenges await me on the ‘outside’. I have plans to complete an Honours and Masters of Visual Arts in the future. For the past six years I have also been teaching art and crafts to children and adults and have discovered that I have a great temperament for teaching and I am actually quite good at it! Margeaux Davis | Textile / Soft Sculpture Artist | I design and make soft sculpture animals, dolls and soft toys under the name Willowynn. My creatures and dolls are inspired by old folk tales, song lyrics, children’s story books and of course, the natural world. I have always loved anything old, natural, magical or that which evokes a kind of longing or sadness. When making a new design, I make lots of illustrations to create a character and a feeling as well as trying to recreate physical features. I hunt through my collection of vintage and second-hand fabric scraps for inspiration, and draw a sewing pattern. My skills have been honed through lots of trial, error and persistence. Each design has come about after countless hours spent stitching, unpicking and stitching again. I create all of my pieces from my tiny studio in my 100 year old home in the hills. Penny Evans | Ceramist / Visual Artist | I create contemporary ceramics and mixed media art. Each work created is unique and an evolution in my artistic practice. As an Indigenous artist the design work on the ceramics reference my Kamilaroi/Gomeroi cultural heritage in combination with my unique and evolving style. The technique of sgraffito is a strong feature of the ware and links to Kamilaroi traditions of carving into trees, weapons, utensils as well as ground carving for ceremonial purposes, communications and storytelling. My 2D mixed media works examine more recent histories as opposed to narratives connecting culture to country. Claudie Frock aka Lady Frock | Visual / Performance Artist | I am a visual artist, performer, community arts worker educator and creative consultant. My practice includes, drawing, painting, collage, sculptural installation and performance. I explore different styles from abstract landscapes to more whimsical illustrative artworks created under the name of Lady Frock. I have a strong passion and commitment to working within the community and a special interest in nurturing kids love of the arts. I work for Lismore Regional Gallery as a Learning Officer and in 2011 I was commissioned to create a character called Peggy Popart who takes kids on art tours that let them appreciate and trust their own inner art expert. Kate Hallen | Visual Artist | I have always surrounded my life with creative pursuits, I enjoy sharing my visions and expressions with others to open up a platform of conversation. I am interested in how audiences can respond to themes, which resonate through their diverse experiences. I am interested in paint and its immersive qualities for both viewer and artist. Painting is an act of honing in and out of focus constantly. I get lost within the doing; fixating on details and stepping back to see their entirety. Lindsay Hunt | Printmaker / Visual Artist | I am a contemporary Australian artist, trained in my home city of Sydney and in London at the Royal College of Art. I have resided in the Lismore region for several years. My work is produced using various media including oil, acrylic, ink, pastel, charcoal and pencil, as well as using print techniques including woodcut and drypoint etching. My work explores themes drawn from my personal experience and perceptions of the world – and is often strongly expressed in a satirical and darkly poetic style. I have taught Art and Design at a number of Australian tertiary institutions and exhibited extensively in Sydney, regional NSW, Brisbane and Melbourne. My work is held in private and corporate collections in Australia and private collections in London. Dianne Ingram | Visual Artist | I am an eclectic artist from Wyrallah Village near Lismore. I studied representational art for many years at Lismore Tafe, before following my instinct to explore new boundaries in abstract and contemporary art. I returned to Tafe to study under Michael John Taylor and also travelled to America to study with Maxine Masterfield. Strong design concepts and movement play a major role in my work as well as mark making and surface depth. Many subjects including Landscape Figurative, Ancient Civilizations, as well as non-objective works are depicted in lots of mediums as well as mixed media. I like things to remain slightly ambiguous rather than fully depicted or explained. Joanna Kambourian | Graphic designer / Printmaker / Visual Artist | I am a graphic designer and printmaker. My work reflects an investigation into contemporary manifestations of personal, cultural and social identity. The stories are told via pattern, design, collage, and illustration and often include alternate personas, voices and characters that emerge from this narrative and delight in the potential of difference and revel in absurdity. My prints and designs inspire the production of limited edition print and design ephemera. 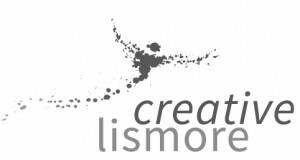 I also operate Lismore Art Space hosting a number of workshops, events and exhibitions. Leonie Lane | Graphic Designer / Visual Artist | Working in visual arts and graphic design, my work deals with notions of ‘place’, personal narrative and social identity via digital imagery and installation. My strong interest in working in public and museum spaces interpreting community stories can be seen in the Wilsons River Experience Walk in Lismore and projects at the New Italy Museum Complex. My Commissioned work has ranged from community art projects and public awareness campaigns to museum, music, film and theatre promotions. After 20 years of teaching Digital Art and Design in the Visual Arts program at Southern Cross University, I have returned to fulltime studio practice. Printmaking using different technologies is my focus. I collaborate with my partner John Stewart as Booyong Design. Jesse Mackintosh | Visual / Textile Artist | I am a local artist with 10 years experience making badges for bands, environmental and political groups, as well as my own artistic designs. I have a store House of M that is bringing life back into South Lismore by offering a large range of locally made, post consumer punk printed fashion and products as well an expansive array of graphic novels, manga and vintage toys. Digby Moran | Visual Artist | My name is Albert (Digby) Moran and I was born in Ballina and raised in a mission on Cabbage Tree Island in the Richmond River. My father was Dungutti and mother Bundjalung. I started painting late in life. Painting enables me to tell the history of my Aboriginal community, life on a mission as a child and stories told to me by my mother and elders. My work has always been closely connected to my people and their past – I paint what I see and feel within the boundaries of Bundjalung country. In 2006 I was appointed as an Australia Day Ambassador and most recently was named a ‘living book’ at Lismore Regional Library. I was also a finalist in the 2011 and 2012 New South Wales Parliament Aboriginal Art prize. Laila Page | Sculptor / Visual Artist | I graduated from the Farnham Institute of Art and Design in 2000, receiving a Bachelor of Fine Art (Hons). I then worked as a ceramics studio manager for Kate Malone from 2002, in France and London. My work involved creating densely textured surfaces covering pots and other functional objects. I was credited as a co-designer for Kate Malone’s ‘Wall of a Thousand Stories’ installation in Brighton Library, which won Best Public Project in the UK in 2006. Since 2013 I have been developing my passion for line drawing and watercolour. These works feature single line stylised trees with poetry, animals, hearts and drops of water organically and intricately woven into the designs. John Stewart | Ceramicist | I have worked with ceramics for more than 40 years. Born and raised in Lismore, I was self-taught before studying at East Sydney Technical College (The National Art School) in the mid 1970’s. My work explores and researchers an extensive range of the aesthetic, technical and forming genres of ceramic production. I was Head Teacher of the Creative Industries Faculty for 20 years and helped establish Lismore TAFE as one of the most dynamic and respected Art Schools in regional Australia. Now retired from TAFE, I work full-time in my home studio. I have designed a range of slip cast ceramic wall and table vases that integrate the use of glass test tubes. I have also designed a range of No Fly Zones bottle tops aimed at the souvenir market. Each bottle top features a ceramic decal that illustrates a visitor location. Mary Wade | Soft Toy Designer | I spent many years working in the costume department in the film industry but have always had a passion for fabrics and textile design. I have pursued this passion through extensive study in all three areas of textile design: knit, weave and screen-printing. I decided to pull together all my skills and knowledge and start my own business designing and producing textile based items. I didn’t set out to become a toy maker, it just evolved over time, toys are now my biggest selling product to both children and adults alike. Probably my biggest influence has been 1950’s Atomic Design, and it’s from this era that I source beautiful handprinted fabrics to make the toys.